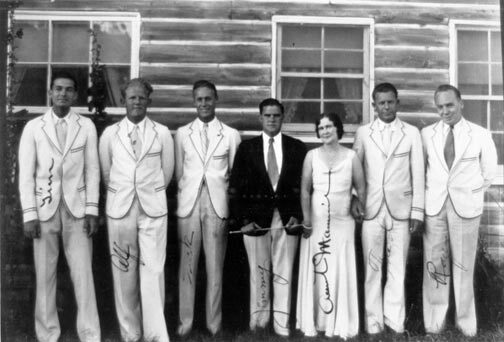 Here are a few old photos of the Stillwell’s resort from the early 1920’s that we talked about in our Big Bear Resorts & Tourism” article. This popular resort was ideally located on a point on the lake just north/west of Big Bear village. Stillwell’s was the most expensive place to stay in the 1920’s and 1940’s. As we stated in the article, Stillwell’s main pavilion burnt to the ground twice during it’s heyday. It has since been replaced by one of today’s more popular restaurants. This is what the popular Stillwell’s resorts at Big Bear Lake once looked like. 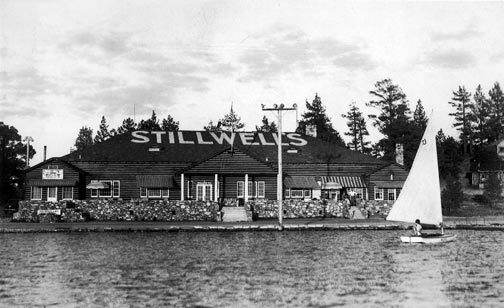 The original Stillwell’s main pavilion right after it was built by Carl & Mamie Stillwell at Big Bear Lake around 1920. – Rick Keppler collection. 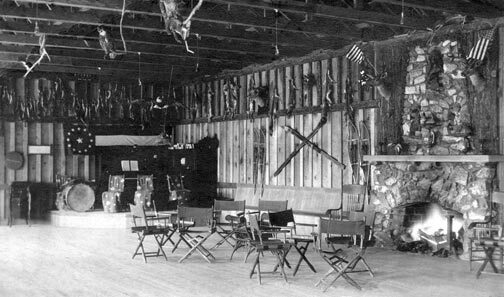 The rustic ballroom in Stillwell’s main pavilion at at Big Bear Lake. 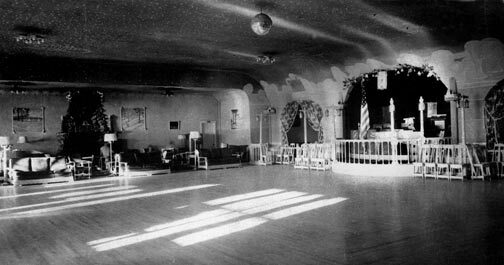 Compare this to the ballroom that replaced it in the 1940’s, after it burned. – Rick Keppler collection. This was the “new” Stillwell’s pavilion that was built to replace the original pavilion which burned to the ground in 1928. – Rick Keppler collection. The following two photographs show both of the Stillwell’s resorts on busy weekends in the 1920’s and the 1940’s. 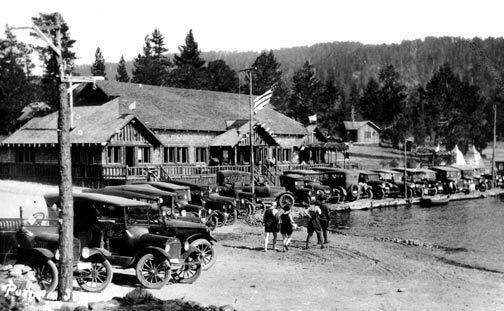 The original Stillwell’s resort at Big Bear Lake in the 1920’s, before it was destroyed by fire. Compare this to the photo below taken in the 1940’s, after it was rebuilt. – Rick Keppler collection. 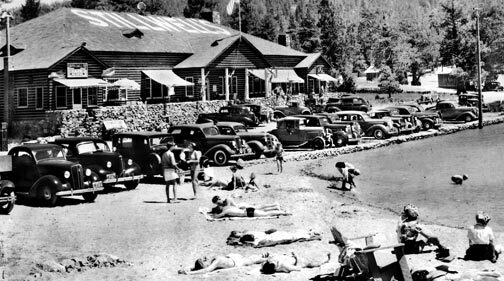 The Stillwell’s resort at Big Bear Lake in the 1940’s after it was rebuilt. Rick Keppler collection. 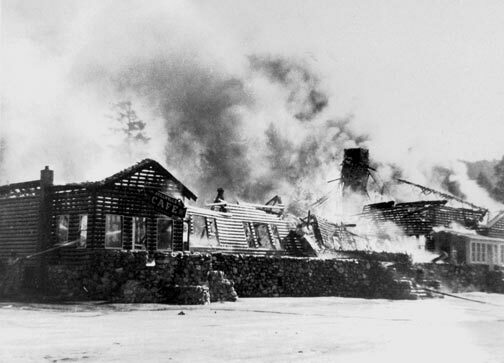 In 1948, the Stillwell’s main pavilion burned again. Stillwell’s is long gone, but a popular Big Bear restaurant now sits on this location. – Rick Keppler collection.